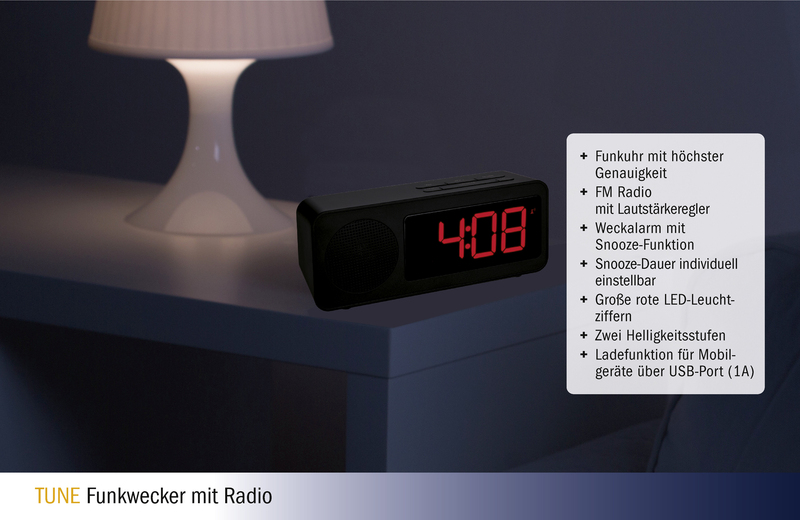 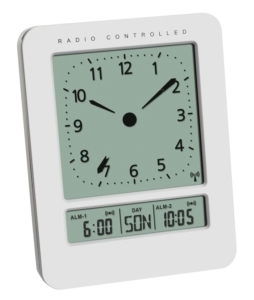 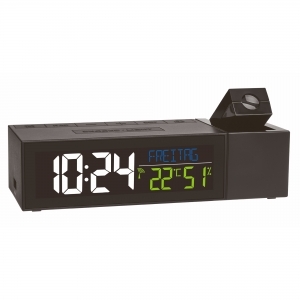 The TUNE radio-controlled alarm clock with radio sounds almost retro. 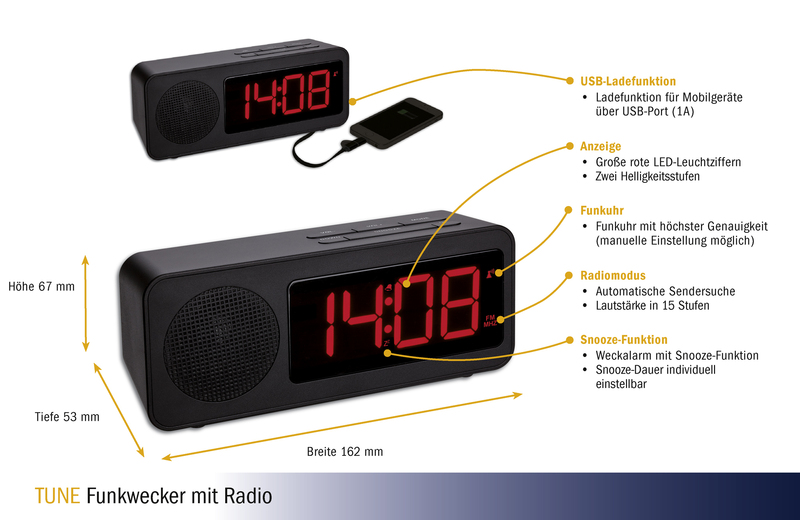 The simple design is reduced to the essentials and offers space for the most important function: the digital time display. 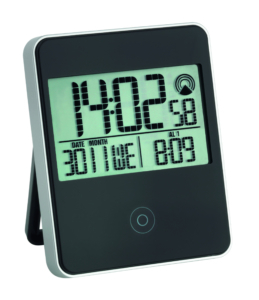 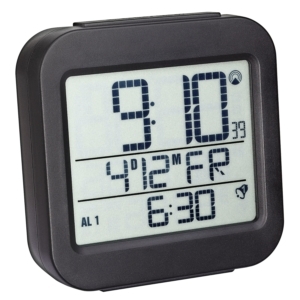 The large digits in luminous LED indicate the time of day and at night, you can choose between two levels of brightness. 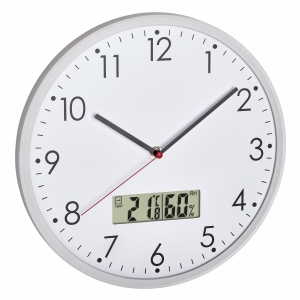 Tune receives the current time precisely via DCF77 signal. 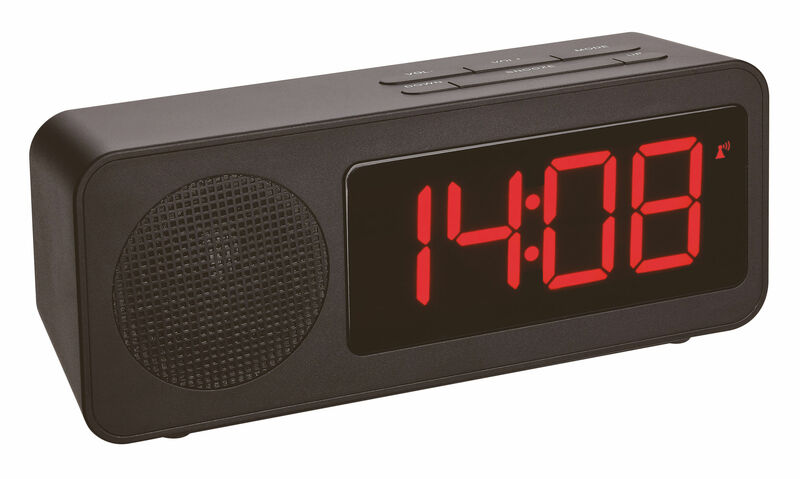 The snooze intervals can be set so that you decide after how many minutes the alarm should sound again. 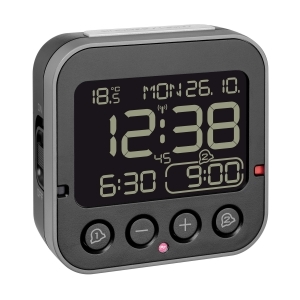 If you want your smartphone quickly at hand after waking up, you’re welcome to use the integrated charging function. 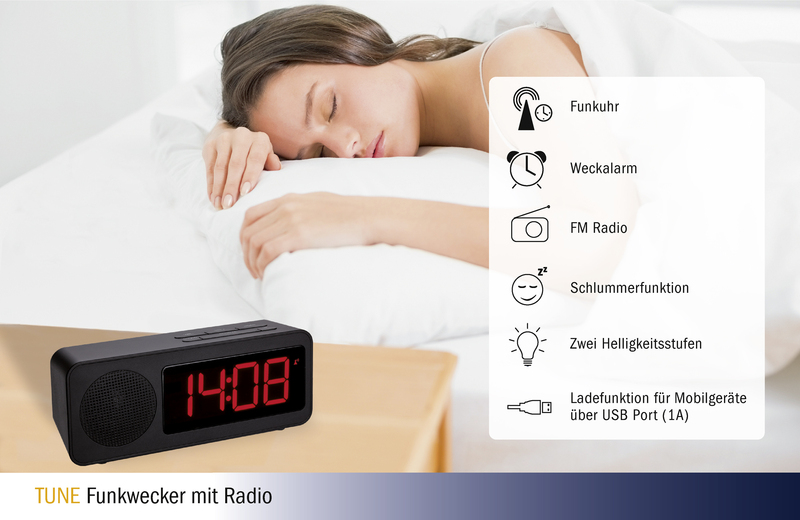 Throughout the day you will get the news and be entertained with music thanks to the integrated FM radio.